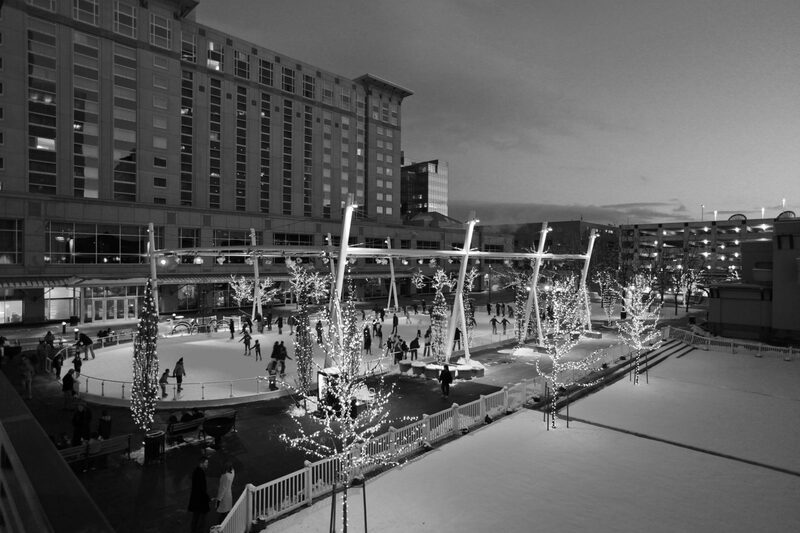 As Salt Lake City’s living room, John W. Gallivan Plaza supports a wide range of activities and events, including the Twilight Concert Series, winter ice skating, and arts and food festivals. 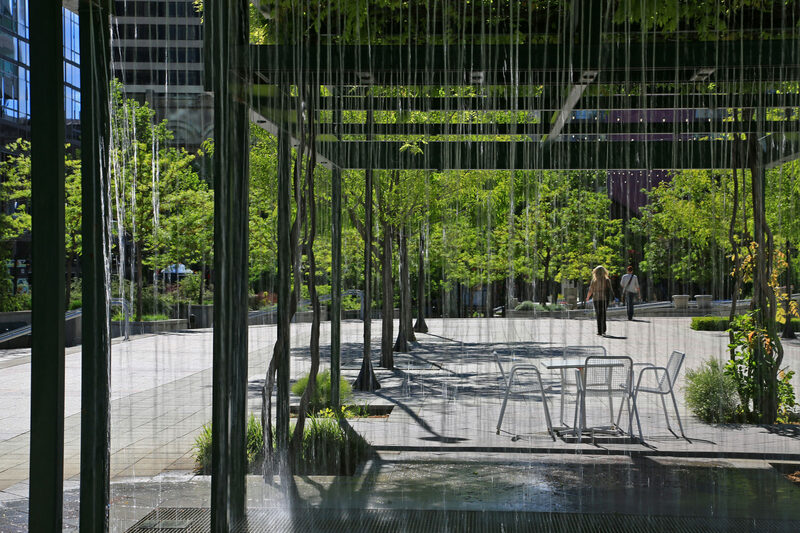 Over the course of nearly three decades, EDA has designed numerous projects for the Gallivan. 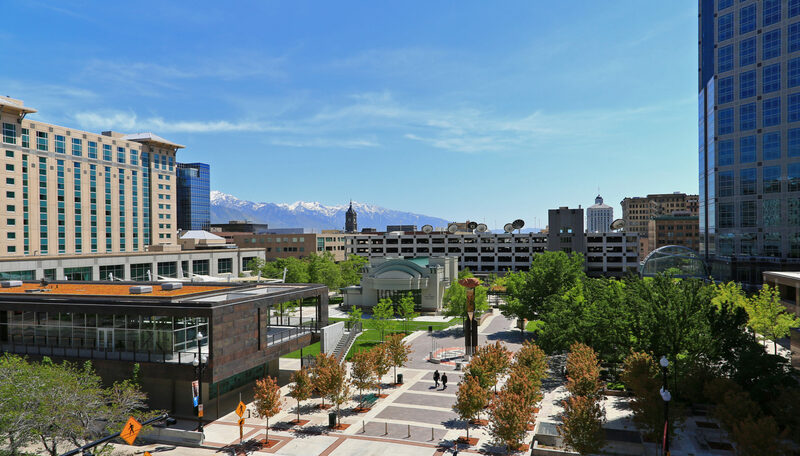 Among these are a set of retail shops along Gallivan Avenue, the current amphitheatre and ice sheet, and the 21,000 square foot event center/ice support building that won of a 2012 AIA Utah Merit Award. The event space represents the capstone of the Gallivan Center master plan. Built on top the existing Gallivan Center parking, the event space creates a sense of enclosure for the park. Composed of a steel frame, copper paneling, and cast-in-place and pre-cast concrete, it presents a warm and enduring face, while honoring the valley’s long mining history. The building’s lower floor provides the support for the ice sheet and the amphitheater, while its second story—ringed by balconies— expands the center’s conference and special event capabilities. A planted roof positively contributes to the park’s aesthetics when viewed from surrounding buildings.